Turkey and broth, pressure canned for the winter. For more information, check out my post How to Pressure Can Meat, Poultry and Fish. I raised 10 Broad Breasted White turkeys this year and all of them survived to butchering size. Seven of the turkeys are processed so far, with 5 whole turkeys resting comfortably in our freezer. I double bagged them to help prevent freezer burn and we will use them up in the next year. The other 2 were cut up in parts to freeze for smaller meals. I love to have boneless, skinless turkey breast in the freezer for stir frying, casseroles, and cutlets. I knew that I wanted to process some of our turkeys into parts. So last week I removed the breast meat from one turkey and froze half, and used the other half to make dinner for the next 3 nights…yum! The legs were removed and frozen whole…a good size to pull out and cook for dinner for the 3 of us. Then the rest of the carcass went into a stock pot to cook for the afternoon. I picked all of the meat off the bones, divided it evenly between 7 quart jars, strained the stock and filled the jars with hot broth. I wiped the rims clean, screwed canning lids in place, and pressure canned them for 90 minutes at 10 pounds of pressure. This turkey didn’t have the nicest looking carcass for roasting, so I cut some of it up for the freezer and pressure canned the rest. It’s a great feeling to have those jars of turkey and broth ready for making soup this winter! But as I looked at the finished product, I thought I’d like to have a bit more meat in the jars. So the second turkey I cut up was used as follows: 1 breast frozen, 1 breast cooked for dinner, the rest cooked in the stock pot until the meat was falling off the bones. Then I picked the meat off the carcass, divided it up between 7 quart jars, filled them with broth and processed them as before. These jars are about half meat, which will be wonderful for heartier stews this winter. To make the most of the turkey, I returned the carcass to the stock pot, filled it with water, added onion greens and a couple tablespoons of apple cider vinegar (the vinegar draws minerals from the bones for more nutrition), and cooked it over low heat all day. As I sit here writing this post, the pressure canner is jiggling away, processing the turkey broth for the winter. I love having our own homegrown food preserved for the winter! Do you pressure can poultry? Do your raise your own chickens and turkeys for meat? What is your favorite way to preserve them? I am so jealous. We have a tom and two hens of a heritage breed that we got this past winter. The birds lay a ton of eggs and the first sunny day they started sitting on a nest in our woods. Unfortunately none hatched because they this was their first nest and I don’t think they kept all the eggs covered consistently. Their next nest was in the coop but unfortunately they abandoned it when a stray turkey egg hatched in the nearby goose nest and the baby turkey ran over and joined the mama turkeys (smart baby!) Unfortunately the baby died a few days later when we had an unusually hot day. I hatched twelve of those fifteen abandoned eggs in my incubator and then sold them when it looked like the turkeys were trying again on a nest of twelve eggs. Unfortunately they only hatched four, and over two week’s time, two died when they started flying and landed in some water I thought out of reach and drowned. So now we are down to two babies. If they survive, maybe they’ll be big enough by Easter but definitely not enough to can. Maybe next year, hopefully. I think that with the heritage breeds you have to have 2 or 3 ready to process at the same time in order to have enough to can the meat. I have both heritage turkeys and broad breasted turkeys, well, the broad breasted are all processed now. I ordered them this spring because I didn’t have very good luck hatching out the heritage turkeys either. I will try again next year, but I am on the fence about keeping the heritage breeds. I really want to have them, but I’m not sure if I really have enough room to keep enough breeding stock to make it worthwhile. I love preserving meat-it is such a time and money saver. I like to can chicken – with broth in quart jars and without broth in pints. With a quart of chicken and stock, chicken noodle soup can be made in no time at all! My husband’s favorite is when I make some stock into gravy and heat the chicken in the gravy, then pour the whole mess over rice or noodles. Comfort food! His other favorite is when I make Pad Thai with the chicken. MmmmMmmm good! Fast food at it’s finest! Yes it does sound delicious! I will be new at canning……so was wondering: What do you put in with the chicken meat in the pint jars if not the broth? Do you not need any liquid in the jars when canning? Like I said, I’ve never canned before…..so I need to learn everything about canning! Awesome! One thing I have learned about freezing turkey legs of half chickens, is that they last longer and are extra tasty if I slow cook them over a smokey deep bed of coals with moist wood on to make the smoke. Then, once cooked to where the meat splits on the bone, pack them off to the coldest spot in the freezer and once frozen, then bag and tag. Takes less time to cook when needed and great for sandwiches. Also, once cooked, they last longer in the deep freeze and do not freezer burn. Also too, if you have a frostless freezer, that is number one cause of freezer burns. Better to have deep chest freezers that do a hard freeze. We are just now starting out our adventure to learn how to “homestead”! I wondered if you could share a little more details/specifics on what you do AFTER you have cooked them over a smoky deep bed of coals with moist wood on (top?) to make the smoke??? You said you cook it until the meat splits on the bone. The next line was what I wanted more details on if you would please? AFTER you cooked them with the moist wood, etc., that you “pack them off to the coldest spot in the freezer and once frozen, then bag and tag”. How do you “pack them off to the coldest spot in the freezer” and THEN (after that) “bag and tag”? Do you mean that you put them just in the freezer “as is” before or without “bagging them first”? That would be a great tradition, Linda! Great job learning to pressure can! I have read that the price of turkeys will be going up this year because of the avian flu losses to commercial flocks. I’m really glad that I have my own, but this is a very good alternative for folks who can’t raise their own. We are brand new “greenhorns” to “homesteading”! We finally just purchased our home on almost 3 acres in August of 2013 and so now we can get started. I haven’t yet purchased a pressure cooker and was wondering if you (or anyone here), could recommend what size or type I should purchase? If I found an old one at a yard sale are those “safe”? What “parts” should I make sure it has all of? You can take used pressure canners to your local State Extension office and they will test it to make sure it is in good working condition and the seal is still good. If you are buying a new one, I have read very good things about the All American brand of pressure canner that doesn’t have a rubber gasket, so no replacing the gaskets. 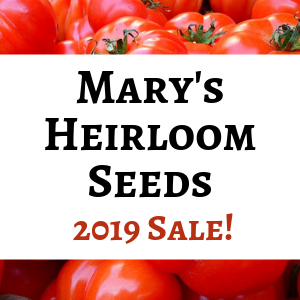 They are very pricey and I have been using my old Mirro pressure canner since my parents gave it to me in the early 90s…if it ever needs to be replaced I will try to save up for the All American. 🙂 Best wishes! I enjoy your posts !! We are homesteaders in the making. Thanks for stopping by! Feel free to share your adventures! Thanks for the great info! My freezer is full and I plan on canning all the rest of our chickens, but hadn’t considered the turkey until reading this. So, what do you make with the canned turkey? I will make soup and stew…maybe some creamed turkey with biscuits. I can also drain the stock off to make casseroles. If so, I will use the stock to make cream of turkey soup to replace the cream of chicken, mushroom or celery soup that is often called for in casserole dishes. Ewww! Yum! Great idea about using it for the making of casseroles! Do you have a section in here where you put recipes? If so, do you have any of these recipes in that section that you mentioned here? Like how to make the “creamed” part of the “creamed” soups? And perhaps your favorite turkey casserole dish recipe too? I do have recipes under my homestead kitchen category…but I don’t think I’ve shared any of these recipes yet. You can take canned chicken or turkey, drain the liquid off and reserve it. In a heavy frying pan, melt some butter and add enough flour to make it very thick. Slowly add the broth to this and stir until all of the broth is added in. Then add the meat. You can also add cream or milk to the mixture if there isn’t enough broth or if you want a creamy sauce. I like to add peas, corn, and carrots from the freezer to this mix and the whole mess is spooned over biscuits…yum! I don’t usually follow a recipe, but you can find a recipe for chicken and gravy on many of the recipe websites. Hope this helps!